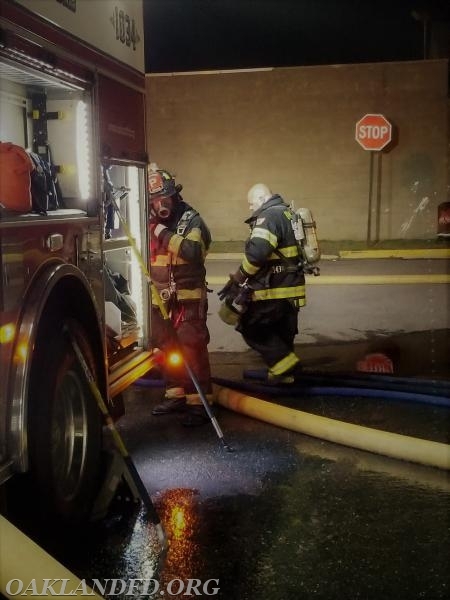 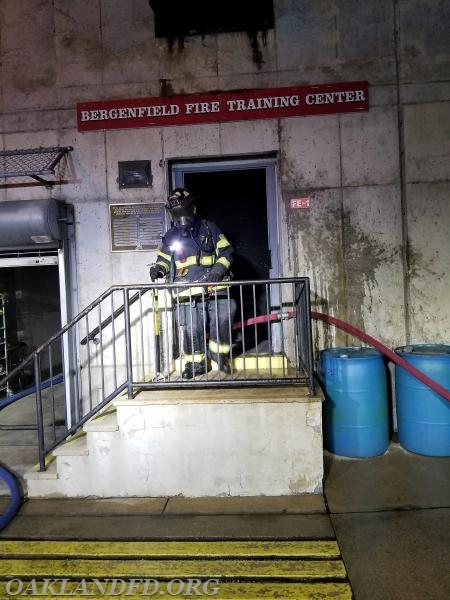 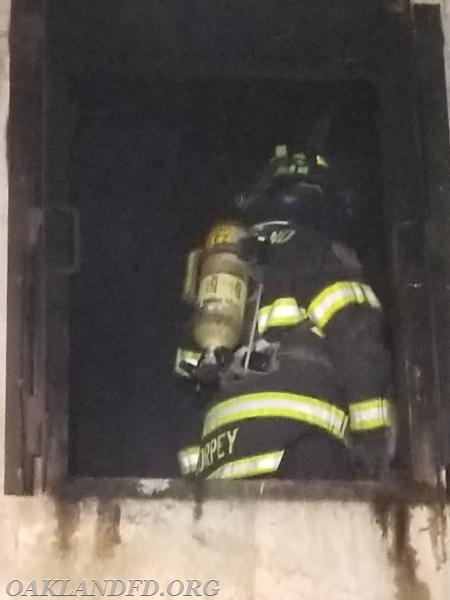 On Friday, April 20th, members of the Oakland Volunteer Fire Department attended a Class A Live Burn training exercise at the Bergenfield Fire Training Center (B.F.T.C.). 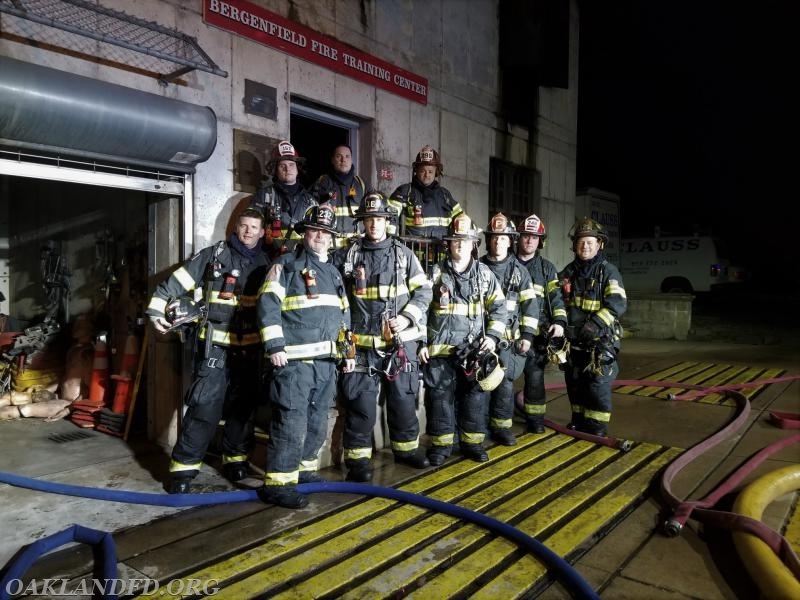 Ten members from the Department took place in the training offered at the B.F.T.C. 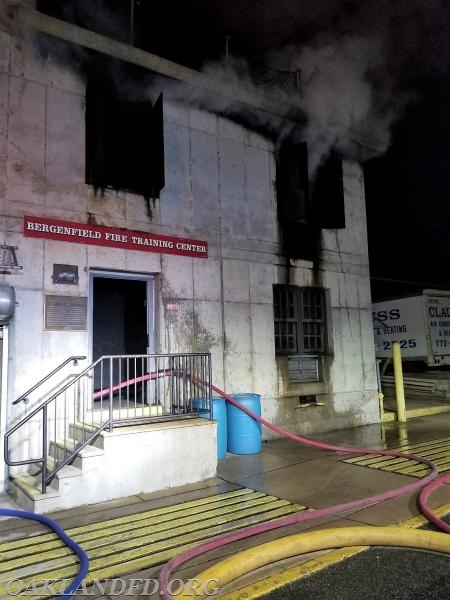 where they practiced live burn scenarios in a controlled environment meant to replicate conditions of a real structural fire event. 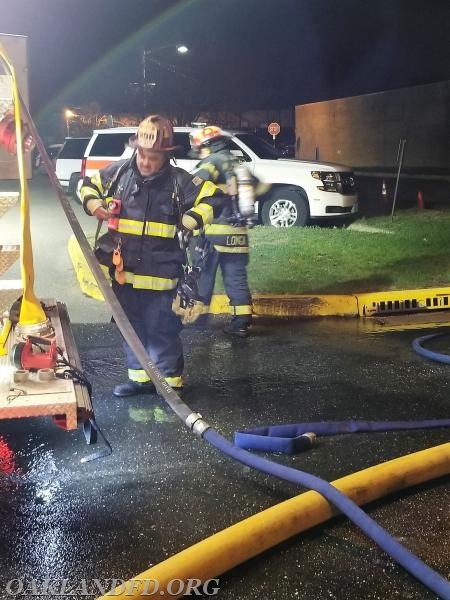 It was a terrific opportunity for the OVFD to work in various teams and practice fire attack techniques. 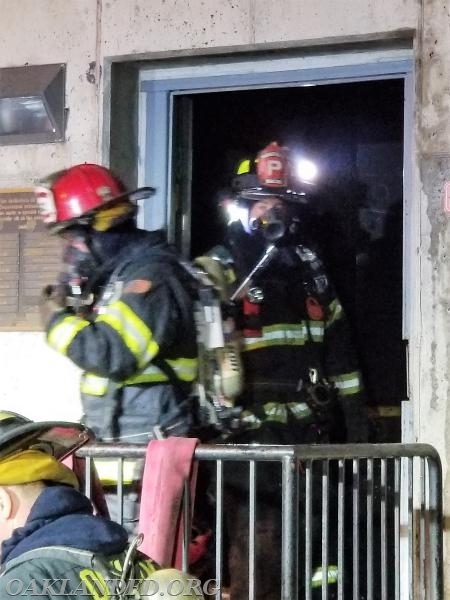 This type of training is not only essential for the firefighters, it benefits our community as well. 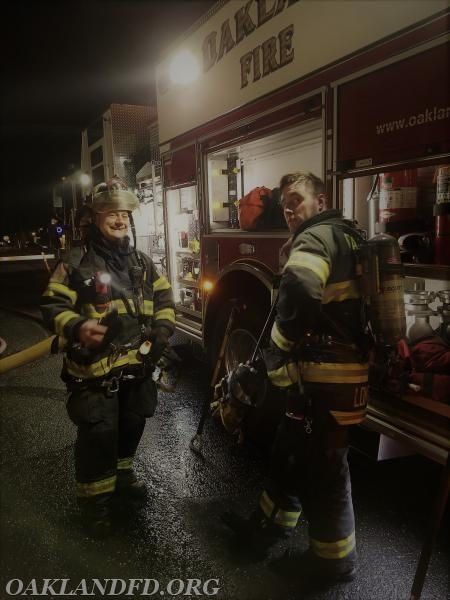 Training of any type is critical to the success of any operation. 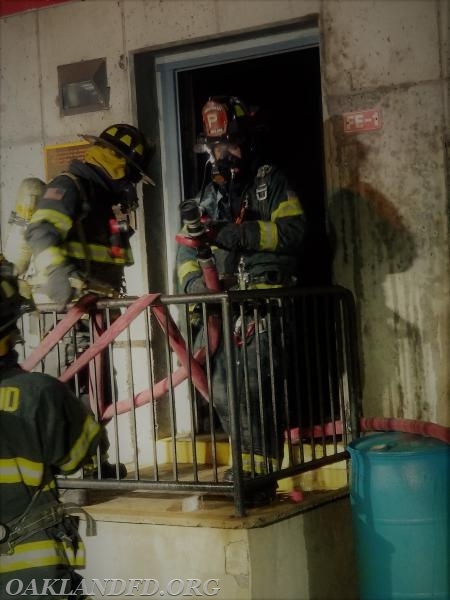 It is done in the Corporate and Sports worlds to improve performance and reactions to various situations that individuals or teams can encounter. 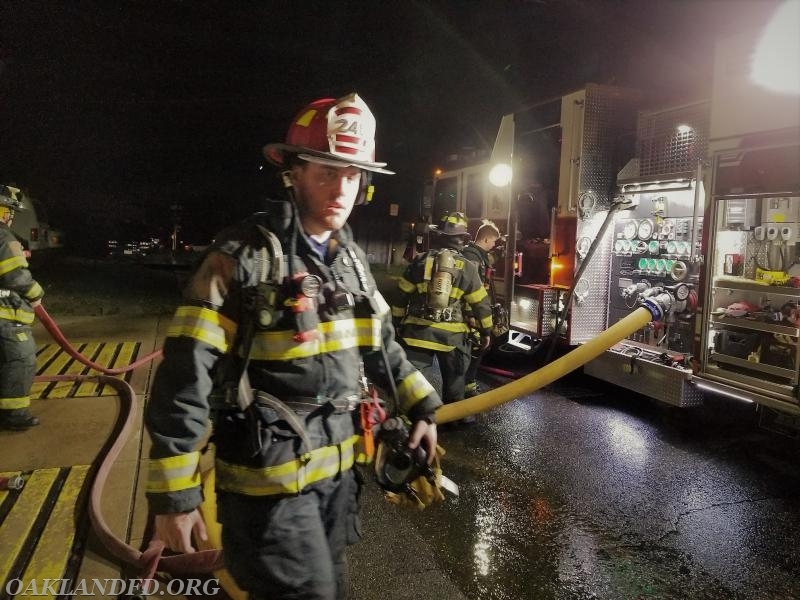 It is no different for a fire department, especially an all-volunteer fire department. 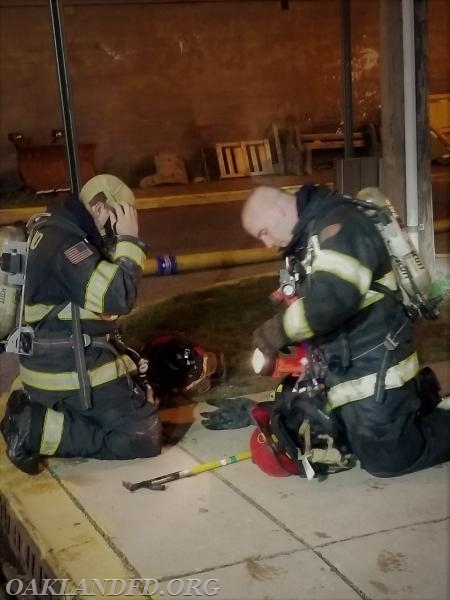 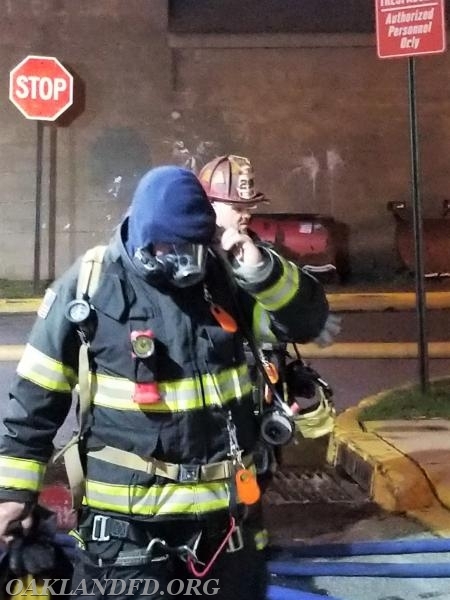 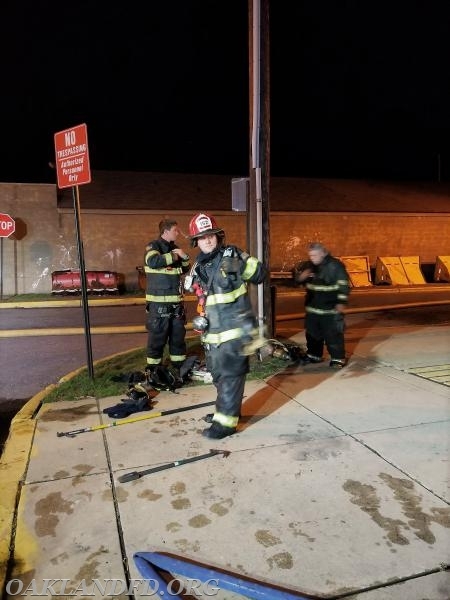 The more firefighters can practice real-world situations the more adept they become at deal with conditions that they can and do encounter in real-life situations. 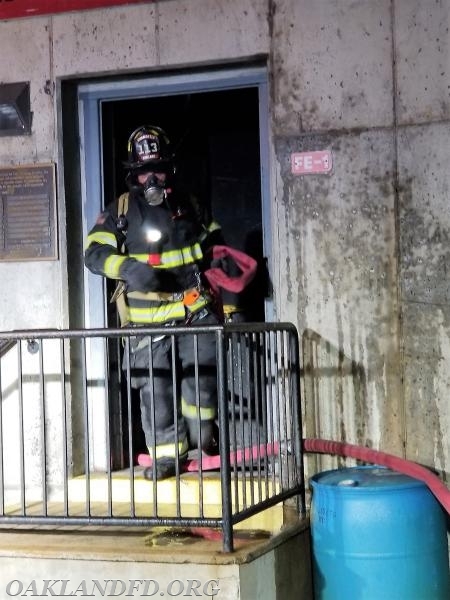 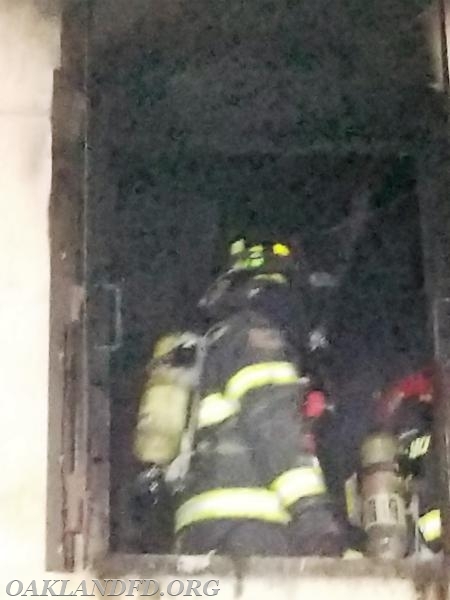 Dealing with fire conditions such as smoke, heat and fumes, that result from combustible building materials can cause even the most experienced firefighter to get disoriented. 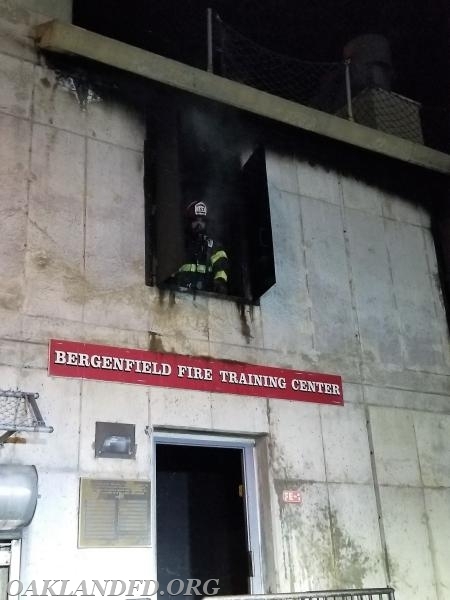 Training at a center such as the B.F.T.C. 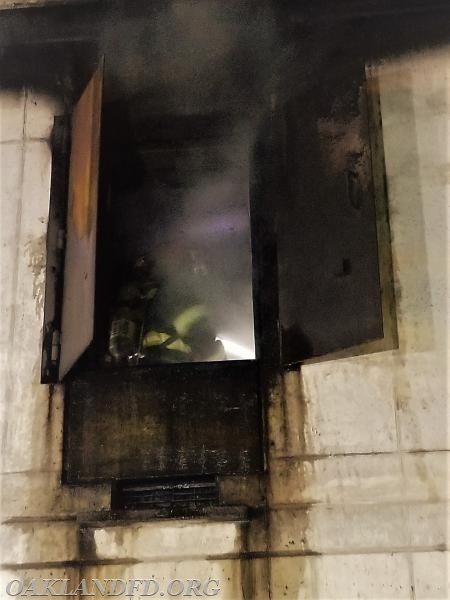 that can reproduce real-life conditions is a controlled and safe manner help the firefighters gain experience that is necessary to not only ensure their safety but the residents as well. 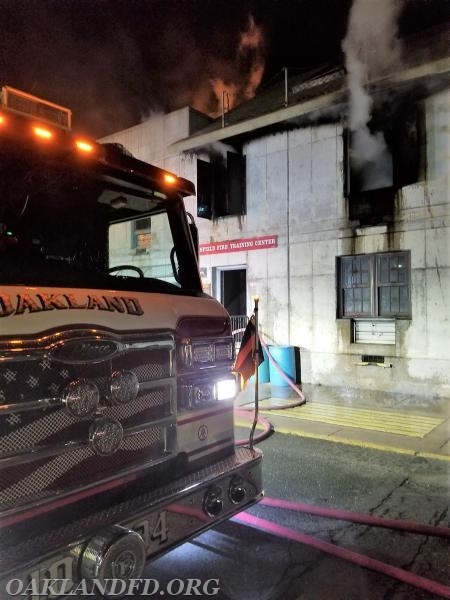 This type of training is just one in an extensive line of many training areas that Oakland’s all volunteer fire department undertakes continuously throughout the year.